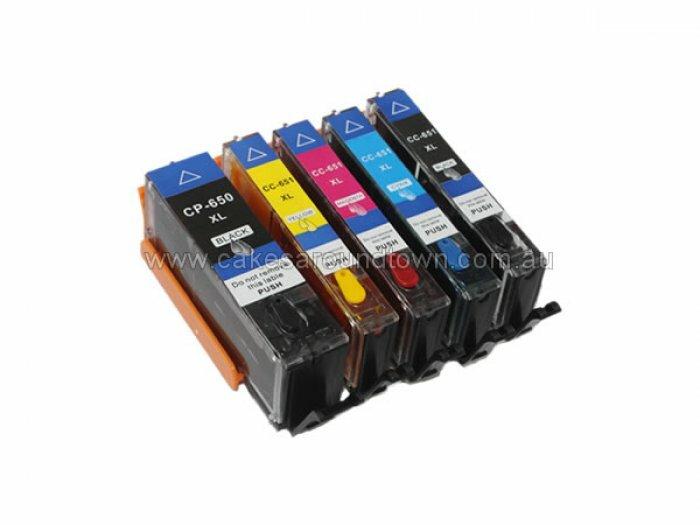 Introducing the new 655set Edible Ink Cartridges for use with newer Canon Printer and Multifunctional models which require a microchip on each cartridge. Our inks are made especially for Canon Printers and are made in Italy and are the best quality on the market. Please note we do not support the maintenance or purchase of printers. We only supply the cartridges.